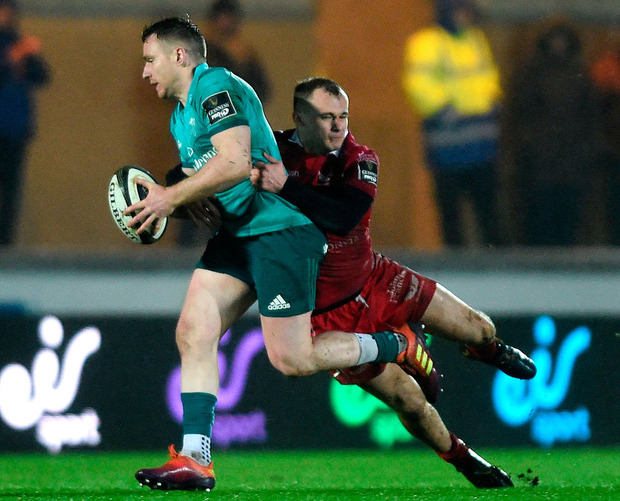 Glasgow now lead the way at the summit and Munster had only two Bill Johnston penalties to show for their efforts as the Scarlets came out on top thanks to a superb defensive shift. 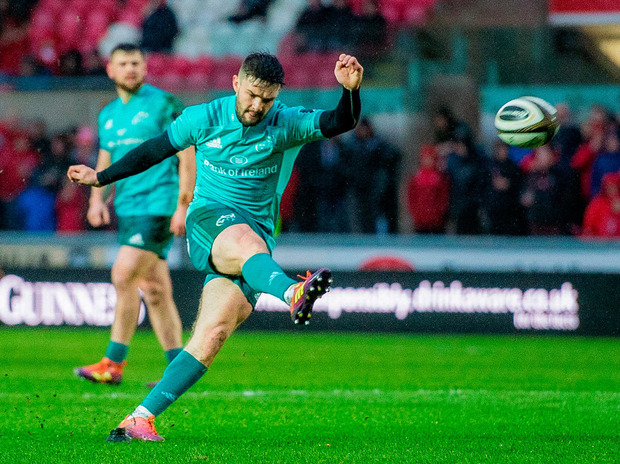 The Irish raiders repeatedly smashed away in search of a try and time after time they went close to the line through their powerful forwards. On each occasion, though, they either spilled the ball due to a combination of the poor conditions and handling errors, or were repelled by excellent home tackling. Van Graan was left frustrated by the defeat, but his glass remained very much half full. "The conditions were very tough. I thought we did such a lot of good stuff in that game and it's very frustrating not to score those tries," the South African said. "We were literally half a metre away twice and we also had a disallowed try. They were big moments in the game, but all credit to the Scarlets and their defence. "We did enough to win it, but credit to the Scarlets. We are still in a brilliant place. 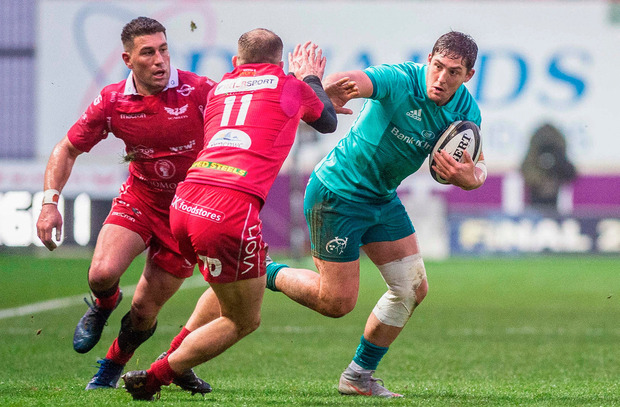 Johnston opened the scoring, but the Scarlets responded when the outstanding Leigh Halfpenny collected a high ball, ran it back, and from there Johnny McNicholl's superb offload sent his fellow wing Ioan Nicholas over to score, with Halfpenny converting. Johnston did kick another penalty, but Munster couldn't make the most of their utter dominance of territory and possession. "It was a difficult call. Unfortunately it went against us and I'm not going to moan about it. The officials made a call and I respect that and we'll move on," Van Graan added. "We had other opportunities to win."